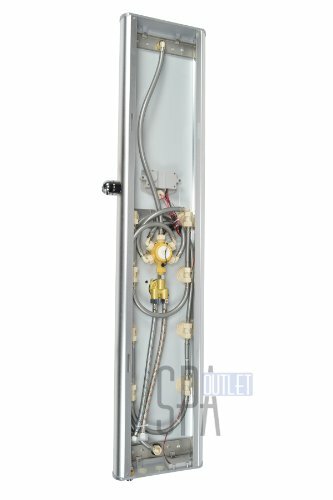 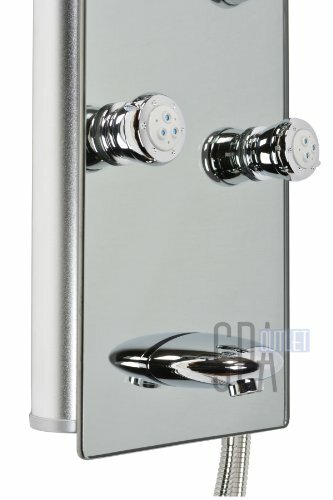 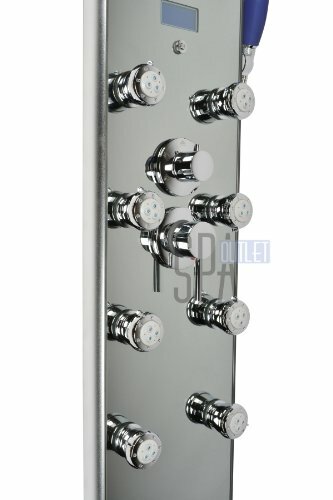 Blue Ocean 52″ Aluminum SPA392M Shower Panel Tower with Rainfall Shower Head, 8 Multi-functional Nozzles | Steam Shower - Bathroom Showers- Infrared Sauna - from SteamShowerDealer.com | SteamShowerDealer is your #1 source to buy designer and comfortable steam showers, steam spas and Infrared Saunas and accessories at discounted prices. 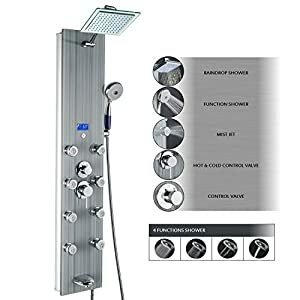 This new luxurious shower panel has just newly arrived to North The us and it is likely one of the Easiest shower panels you’ll be able to find available in the market. 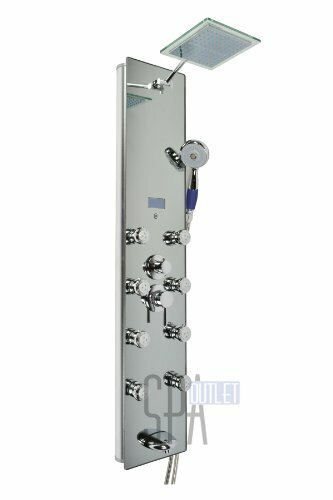 It qualifies under the ISO-9001 Usual, which is able to most effective be acquired by products that went through strict quality keep an eye on and product inspection. 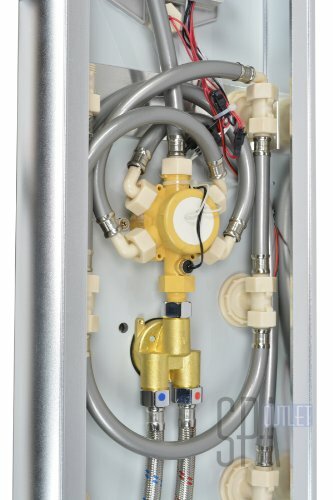 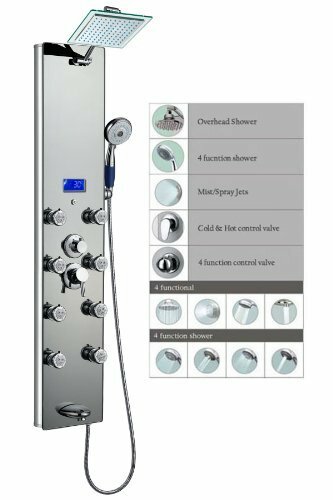 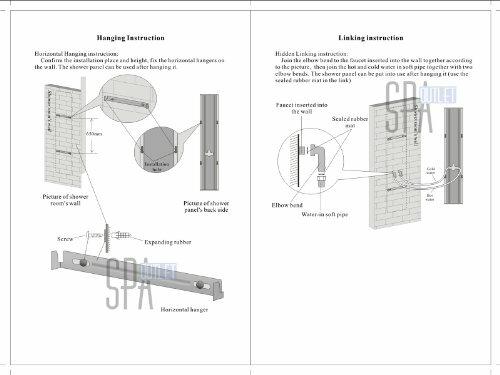 The body of the shower panel is manufactured from top quality aluminum alloy and it comes with a number of functions, including an overhead shower, a hand-held showerhead, 8 body massage nozzles, and a tub spout. 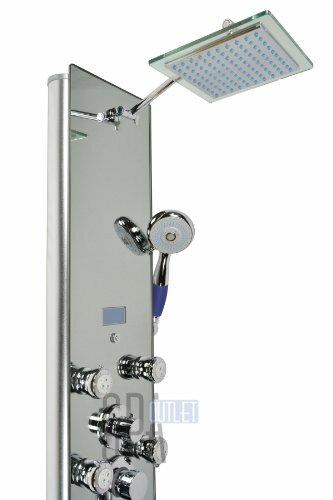 Two controllers are added to keep an eye on the functions and water temperature. 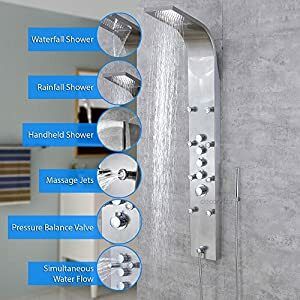 By shopping for this unique and lavishing shower panel, you might have the ability to revel in a higher level of showering enjoy after on a regular basis’s hard work! 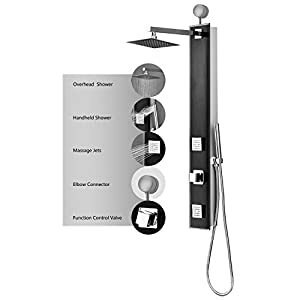 * Item Size: 52″H x 10″W x 3.5″D (132 x 26 x 9cm) * Package Size: 55″H x 13″W x 8″D (138 x 33 x 19cm) * Gross Weight 32lbs * Features a rainfall shower head, a handheld showerhead, a tub spout, 8 adjustable body nozzles, and temperature display * Shower panel frame is manufactured from aluminum alloy * 5mm mirror like tempered glass surface * Lightweight and durable * Unique massage panel is designed for flat wall installation * Comes with chrome-plated brass hose * Usual 1/2″ plumbing connection * Hot/Cold water hose of shower panel shall be connected to water pipe fitting in an instant * Reinforced pipes on back * Temperature display is powered by AA battery * The minimum pressure required is 28 psi and maximum pressure required 72 psi * Offer 1 year part warranty * All functions work independently to make sure Right kind water pressure * Easy installation, come with all Usual installation accessories * In stock and ship out in 1-2 business days If there are any questions referring to this item or you probably have any issues after purchase, please feel free to contact us and we are more than pleased to Help you!